Designed with carbon steel with black oxide finished for a better anti-rust ability and long time use. Grub Screw are generally used to secure an object within or against another object. It exerts compressional force through the bottom point that projects through the hole. Easily replaces worn or damaged parts. 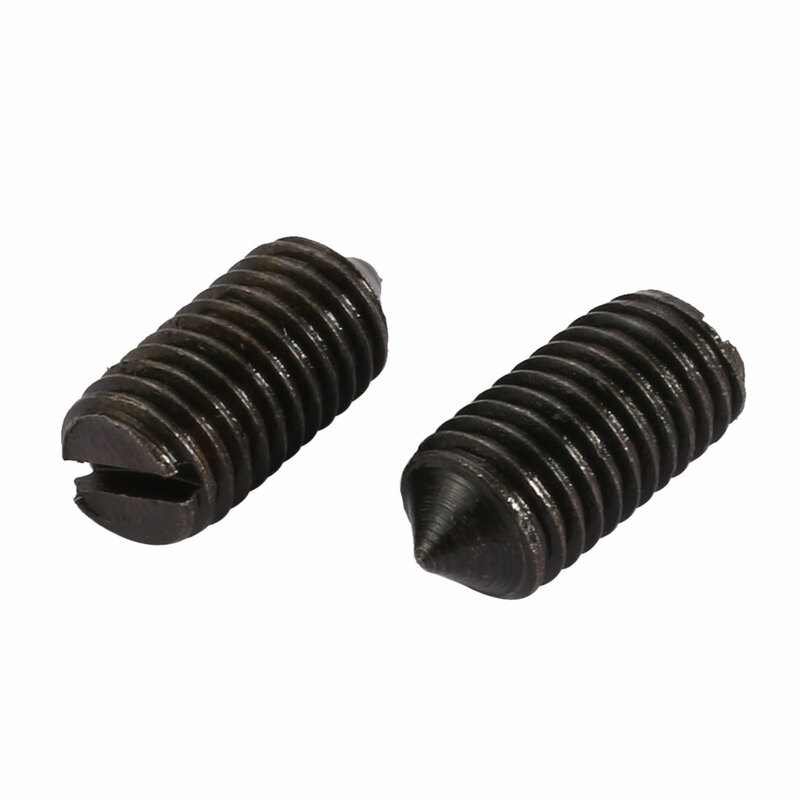 Features cone point, slotted drive, metric coarse thread.